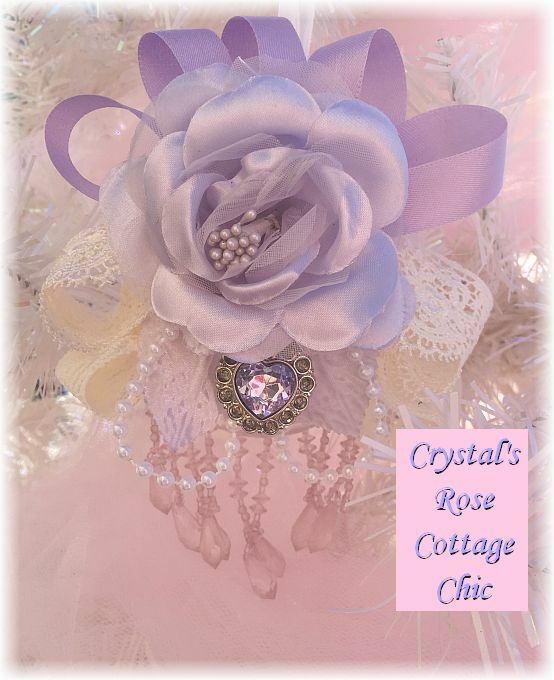 This one of a kind, glass Victorian ornament has been created with beautiful, ivory lace and lavender bows. It has a lovely lavender rose, with pearls and a lavender heart shape rhinestone. for the final touch charming lavender beaded fringe hanging down. Beaded fringe is resting on the pink tulle wrapped around my tree in the picture but it does hang down straight. Ready to ship and be a special touch to your Victorian / rose cottage Christmas tree.